Hi, it's me again! I'm finally starting to spend a bit of time in my space again. I got a really funky new carpet for my space! Not exactly a mother's day gift as I spied it a week earlier, but my husband said I had to get it because I would regret not getting it later. Sweet, eh! 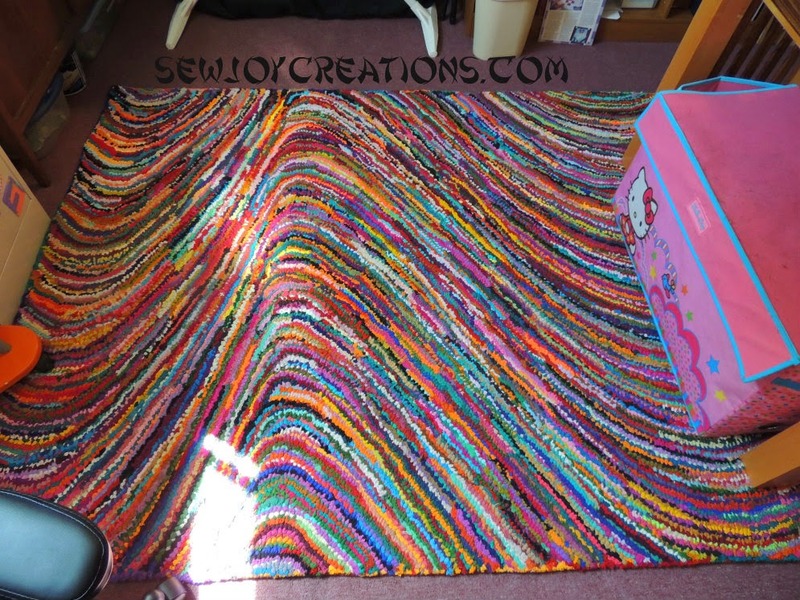 It's put together like a rag rug but made up in this swirl of a design. It gives me some more support underfoot for cutting fabric. And a big smile on my face every time I walk by it - and especially - into my space. Another thing that's made me smile this week was finding out a massive amount of people downloaded my free Charmed Placemat pattern. Like 500 people. In one day! Thank you so much and I hope you enjoy it. And to think I was going to mention it as a fun treat for Mother's Day (I guess somebody else did that for me!) Thank you! 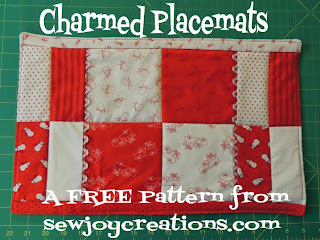 Have you made anything from one of my patterns? I'd love to see a pic as I'm curious to see what colours people use when they use my designs. You can email me a photo or leave a comment with a link. 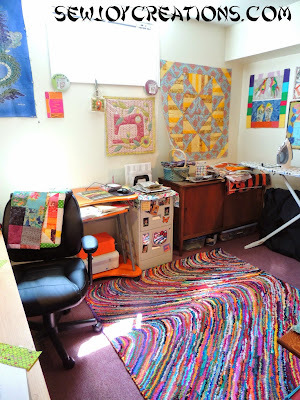 Maybe my next post will show some actual quilting projects in it!! That is such a Sarah rug. Looks awesome!